GENEVA, Switzerland, May 28, 2014 (ENS) – For the first time, monthly concentrations of carbon dioxide (CO2) in the atmosphere topped 400 parts per million in April throughout the Northern Hemisphere, the World Meteorological Organization reports. This threshold is reinforces evidence that the burning of fossil fuels and other human activities are responsible for the continuing increase in heat-trapping greenhouse gases warming the planet said the WMO. Measurements taken by meterological stations from Canada to Germany, from France to Japan, from Barrow, Alaska to high atop Mauna Loa, Hawaii, contributed to this conclusion. There are 130 stations worldwide that measure carbon dioxide, and WMO’s monthly mean concentrations are calculated on the basis of continuous measurements. All the Northern Hemisphere monitoring stations forming the WMO Global Atmosphere Watch network reported record atmospheric CO2 concentrations during the seasonal maximum, which happens early in the Northern Hemisphere spring before growing plants absorb the carbon dioxide. Spring maximum values in the Northern Hemisphere have already crossed the 400 ppm level, but the global annual average CO2 concentration is not predicted to cross this threshold until 2015 or 2016. 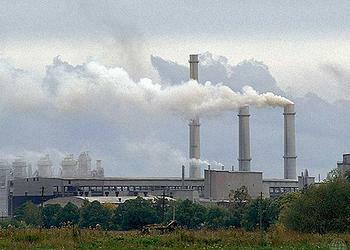 Carbon dioxide remains in the atmosphere for hundreds of years. Its lifespan in the oceans is even longer. It is the single most important greenhouse gas emitted by human activities. It was responsible for 85 percent of the increase in radiative forcing – the warming effect on our climate – over the decade 2002-2012. Between 1990 and 2013 there was a 34 percent increase in radiative forcing because of greenhouse gases, according to the latest figures from the U.S. National Oceanic and Atmospheric Administration, NOAA. 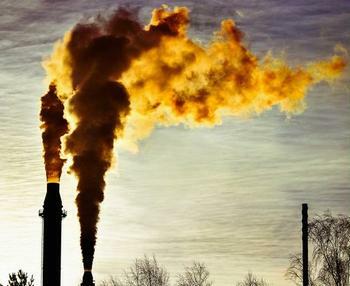 According to WMO’s Greenhouse Gas Bulletin, the amount of CO2 in the atmosphere reached 393.1 parts per million in 2012, or 141 percent of the pre-industrial level of 278 parts per million. The amount of CO2 in the atmosphere has increased on average by two parts per million per year for the past 10 years. Since 2012, all monitoring stations in the Arctic have recorded average monthly CO2 concentrations in spring above 400 ppm, according to data received from Global Atmosphere Watch stations in Canada, the United States, Norway and Finland. This trend has now spread to observing stations at lower latitudes. WMO’s global observing stations in Cape Verde, Germany, Ireland, Japan, Spain and Switzerland all reported monthly mean concentrations above 400 ppm in both March and April. In April, the monthly mean concentration of carbon dioxide in the atmosphere passed 401.3 at Mauna Loa, Hawaii, reports NOAA. In 2013 this threshold was only passed on a couple of days. Mauna Loa is the oldest continuous CO2 atmospheric measurement station in the world, taking measurements of this gas since 1958, and so is widely regarded as a benchmark site in the Global Atmosphere Watch. The Northern Hemisphere has more anthropogenic sources of CO2 than the southern hemisphere. The biosphere also controls the seasonal cycle. The seasonal minimum of CO2 is in summer, when plants take up more of the gas than during other seasons. The winter-spring peak is due to the lack of biospheric uptake, and increased sources related to decomposition of organic material, as well as human-generated emissions. The most pronounced seasonal cycle is therefore in the far north. The WMO Global Atmosphere Watch coordinates observations of CO2 and other heat-trapping gases like methane and nitrous oxide in the atmosphere to ensure that measurements around the world are standardized and can be compared to each other. The network spans more than 50 countries including stations high in the Alps, Andes and Himalayas, as well as in the Arctic, Antarctic and in the far South Pacific. All stations are situated in unpolluted locations, although some are more influenced by the biosphere and human activities than others. The United Nations is leading an international effort towards a global, legally binding climate agreement by the end of next year, when the governments that are Parties to the UN Framework Convention on Climate Change, UNFCCC, meeting in Paris. UN Secretary-General Ban Ki-moon is convening a climate summit on September 23 with leaders from governments, businesses and civil society to raise the level of ambition, catalyze action on the ground and increase political momentum towards such an agreement. The overall goal of these efforts is to limit the average temperature increase to two degrees Celsius above pre-industrial times. The Intergovernmental Panel on Climate Change reported in April that to keep global mean temperature to two degrees Celsius, global greenhouse gas emissions must be lowered by 40 to 70 per cent compared with 2010 by mid-century, and to near-zero by the end of this century.